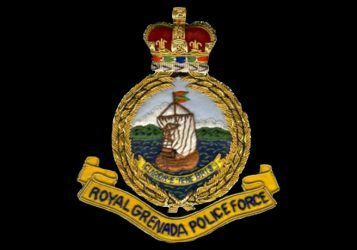 The Royal Grenada Police Force in response to the recent public accusations by senior executive members of the National Democratic Congress (NDC) that members of its Organization were spying on the Party categorically denies the allegations. The RGPF cannot and will not support this accusation and regrets that senior executive members of the NDC would classify the following two (2) incidents as spying. 1. On Wednesday the 8th May, 2013, a Police Officer heard an advertisement of a public meeting to be held at the Grand Anse R.C. School, to discuss Youth and Disaster Preparedness and attended the meeting in plain clothes. At the conclusion of the meeting, he was seen by some senior members of the NDC, who knew him very well and who made some remarks to his hearing. 2. On Thursday the 9th May, 2013, one of our plain clothes officers was in the Grenville area on duty when he observed a crowd of persons standing in the yard of the St. Andrew’s Anglican School. In an effort to ascertain what the gathering was about, the officer walked into the yard and while there saw some persons entering the school building. That officer was seen by Glen Noel in the school who again began casting some remarks. Cognizant of what was taking place inside the building the Officer immediately left. Our Police Force is above reproach and political games. The RGPF is a completely independent institution and its Officers will continue to work diligently to ensure that there is no weak link in our security and that no one will allow himself or herself to be used by any politician. We pledge that wholeheartedly and believe that this is consistent with the message conveyed to us by the new Prime Minister in a recent town hall meeting with the Police Force in Carriacou. The RGPF remains committed to the preservation of law and order and efficiency in the execution of its duty to our country.